One Xbox can be used by 4 players (each using 1/4 of the display). 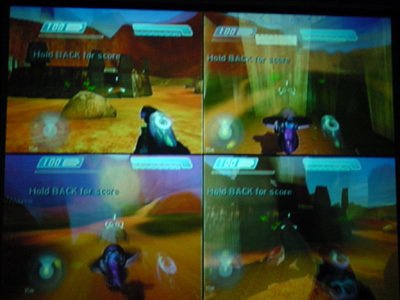 If the image from 1 Xbox is projected with one polarisation angle and another Xbox is projected using a polarisation at 90 degrees to the first Xbox, then two groups of 4 players with correctly matched polaroid glasses can play together. 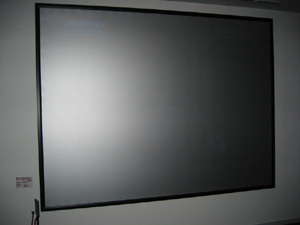 The following image shows the 8 games on the screen, each quarter of the screen contains two games. 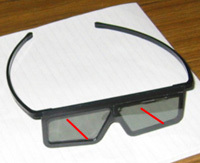 Normally, linear polaroid glasses used in stereoscopic projections have the angle of polarisation at +45 and -45 degrees. 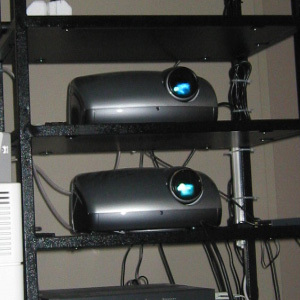 The filters on the projectors are obviously aligned similarly so that the left eye sees the image from one projector and the right eye sees the image from the other projector.. 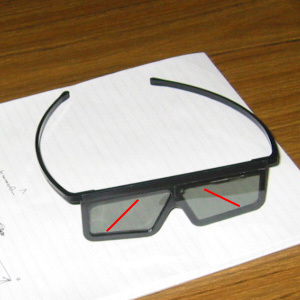 The modified glasses for this exercise need to have matching polarisation angles. 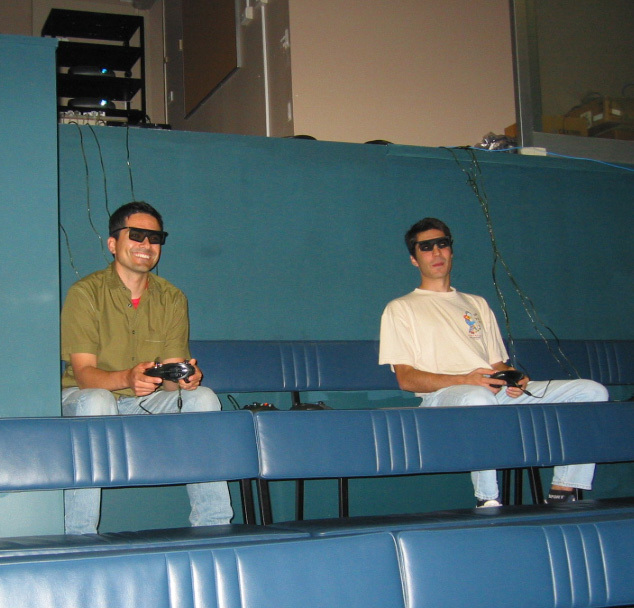 The glasses for one group of 4 players needs to have both filters at +45 degrees, the glasses for the other group of 4 players have the filters at -45 degrees. 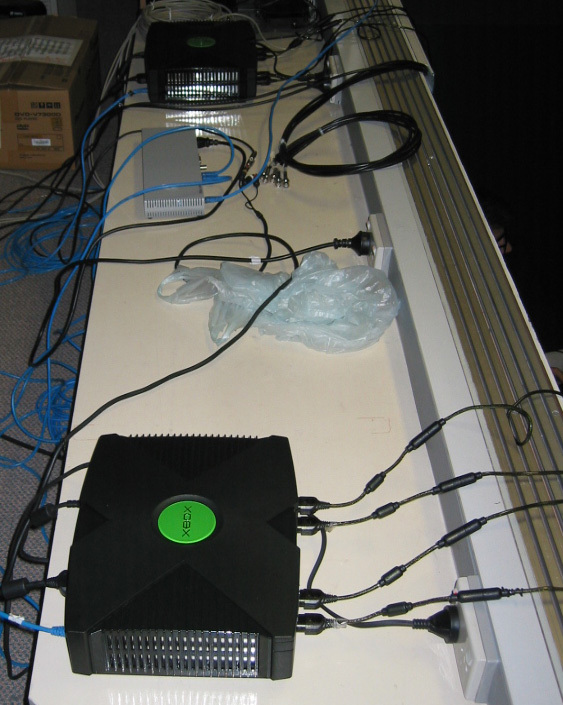 Of course two players, each with one Xbox, can play off one screen at full resolution. 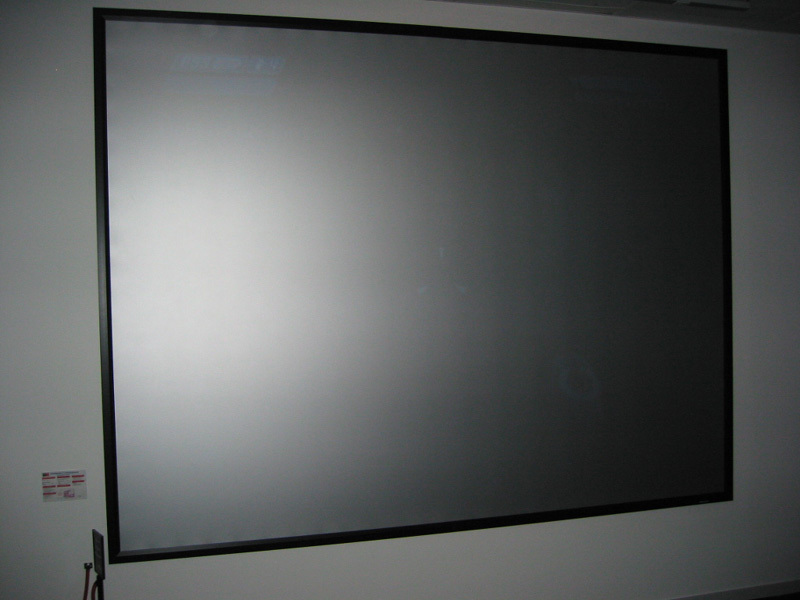 Dual projectors with linear polaroid filters. Preserves polarisation of reflected light. Cables on left go to the projectors. 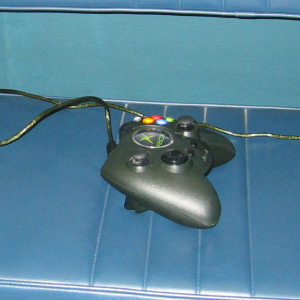 Cables on the right go to controllers.